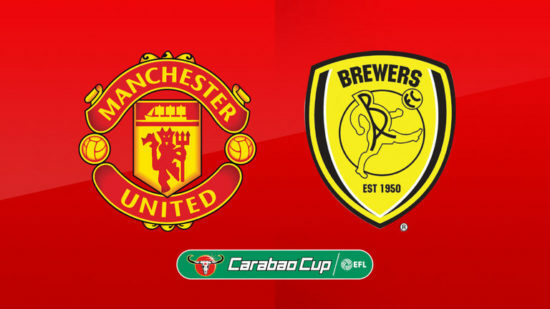 Manchester United begin the defence of the League Cup as we entertain Championship side Burton Albion at Old Trafford in a third-round clash on Wednesday. Jose Mourinho is expected to rest key players and make some changes from the side that thrashed Everton 4-0 on Sunday. The Portuguese tactician is expected to give some senior players the much needed minutes and youngsters such as McTominay and Angel Gomes some minutes with both players impressive so far in the reserves this season. We take a look at United’s predicted line-up against the Brewers. Argentine goalkeeper Sergio Romero is expected to start in goal, he is yet to start a single game so far this season. He was excellent for United in the Europa League and would be looking to continue from where he stopped last term. United have the meanest defence in the league alongside Manchester City conceding only two goals so far this season. Matteo Darmian is expected to start at right-back while at centre-half Chris Smalling is expected to partner Victor Lindelof in the heart of the defence. Both players have only started two of United’s games this season due to the impressive partnership of Eric Bailly and Phil Jones. At left back, Luke Shaw is expected to start after Jose recently said he has fully recovered and he is available for selection. Manchester United Captain, Michael Carrick is expected to start his first game of the season as he is yet to taste action so far this term. Scott McTominay will likely partner the 36-year-old in a midfield pivot, the 20-year-old midfielder has been promoted to the first team squad as a result of Andreas Pereira going out on loan to Valencia. In attacking midfield, Anthony Martial is expected to start on the left after coming from the bench to score a penalty against Everton on Sunday, Ander Hererra is expected to play in the hole behind the striker after an impressive performance against the Toffees. Jesse Lingard will likely start on the right side of the midfield having assisted Romelu Lukaku to score his fifth goal. Marcus Rashford is expected to lead the line against the Brewers. He has scored three goals in six appearances in all competitions for United this season and would be looking to add to his tally on Wednesday.